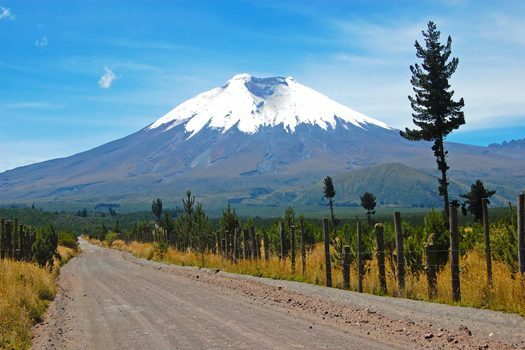 Cotopaxi is one of the world’s highest active volcanoes and has erupted more than 50 times since 1738, which already makes this route a scary one. But the road also poses its own risks, thanks to hidden potholes and a series of streams that are prone to flash floods. Drivers also have to cross a smoldering volcano steam to enter Cotopaxi National Park, making this a uniquely challenging route.